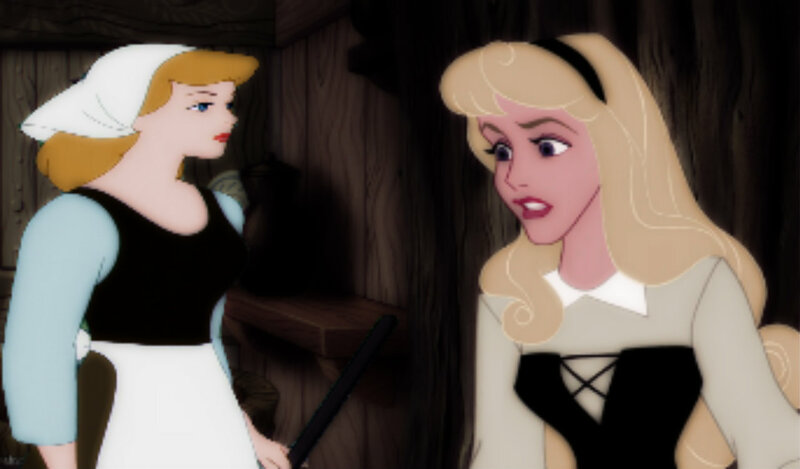 cinderella & Aurora. . HD Wallpaper and background images in the Disney crossover club tagged: disney crossover cinderella aurora. This Disney crossover photo might contain tights, leotards, leotard, unitard, mwili suti, paka suti, kila siku leotard, suti ya mwili, and suti ya paka.